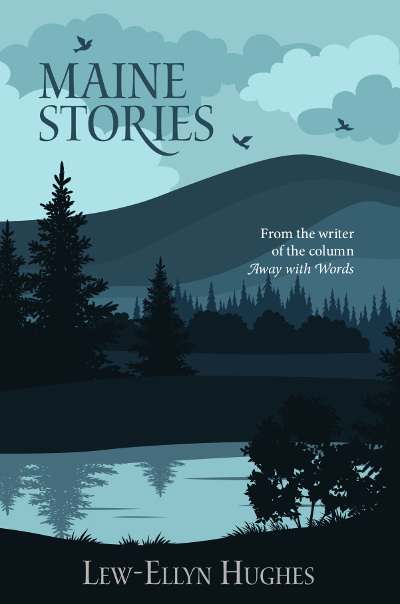 This book is a collection of award-winning true tales of life, family, the people, places, and lifestyle of rural Maine. Lew-Ellyn Hughes does indeed have a way with words, offering tales of everyday life here in Maine that touch us all in significant ways. Her column, Away with Words, is a highlight many of our readers look forward to, including myself who gets a “first look” at these wonderful columns. Nice voice, funny, with a down-home appeal. —Peter Chianca, Managing Editor, Community Newspaper Co.
Hughes gives words to a Maine experience. Born in California and raised in the military with deep Maine roots, award-winning columnist and author Lew-Ellyn Hughes has had a life she describes as being abnormally fabulous and insanely unconventional. She writes about her life and the lives of her fellow Mainers. She has been published in several Maine publications, including Down East Magazine.